The arrival of Spring means Music Festival season is finally upon us. Whether you're attending Coachella, Bonnaroo, Lollapalooza or one of the many other events they all have the same things in common. Travel and long outdoor days. Because festivals are usually all-day to all-weekend commitments you will want to come prepared. Here are the Spring Music Festival Essentials that I will be packing my bag with! 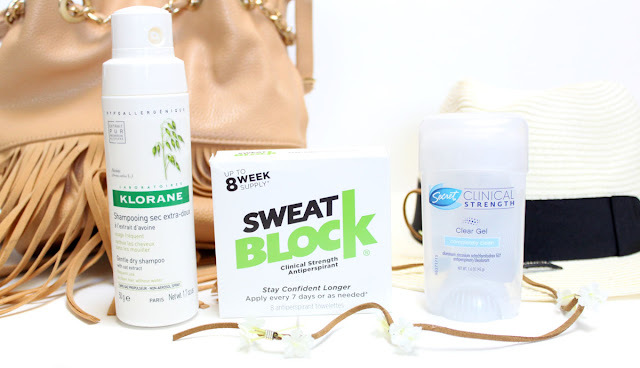 A high SPF sunscreen is essential when attending an outdoor festival. There is nothing worse than a painful sunburn to ruin your day. Even if it's cloudy, better to be safe than sorry. I pack both lotion, stick, and a spray. 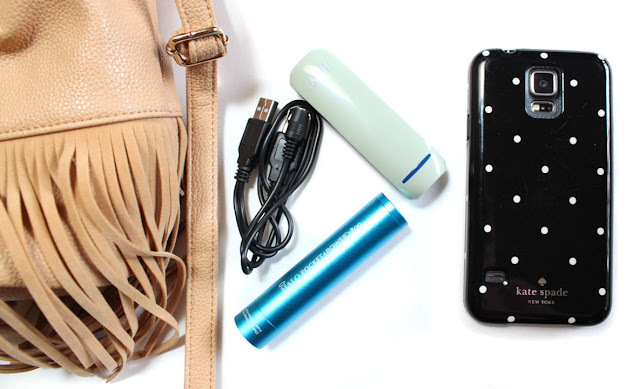 I apply the spray before I go and keep the balm and lotion in my purse for touch ups. Also make sure to protect your lips with a moisturizing lip balm that has added SPF. 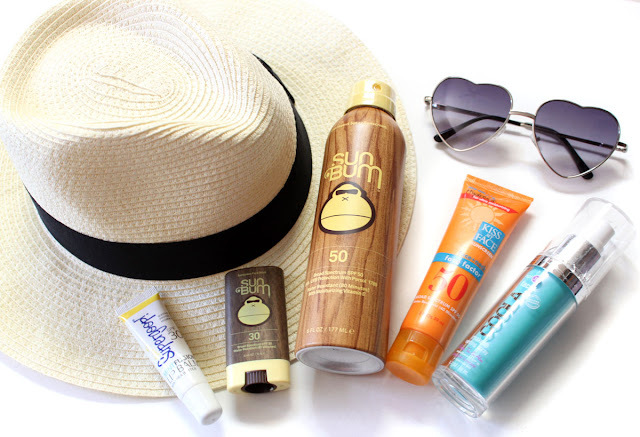 Don't forget the floppy hat and sunnies to protect your eyes! This ones a no-brainer as we take our phones with us everywhere. A phone and a backup charger or two are a must for pictures and keeping in contact with your friends. If you have one of those nifty solar powered chargers that's even better. Many festivals now offer their own apps so you can keep track of set times and the grounds layout. Also bring a card holder for cash, cards, tickets, and your ID. We all know how germy traveling can be. 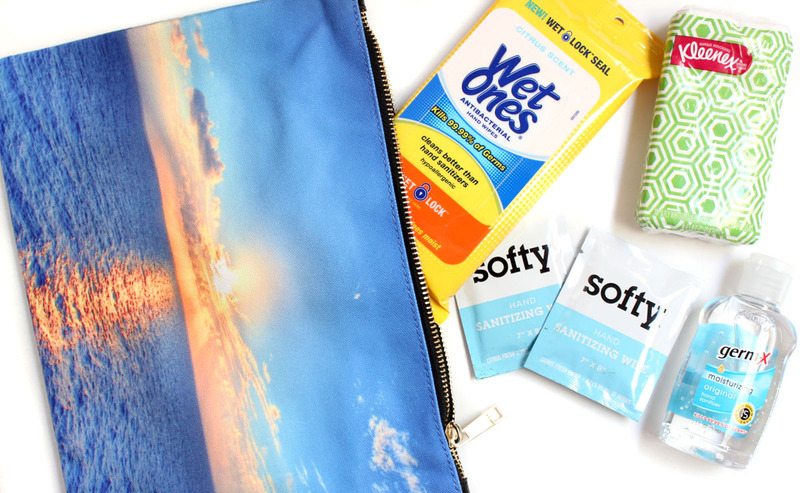 I always take a long hand sanitizer for the plane and individually wrapped wet wipes for the festival. It is also wise to take some packs of tissues as they are sparse. There are plenty of food vendors on the grounds, but I like to pack a little something for when hunger strikes. 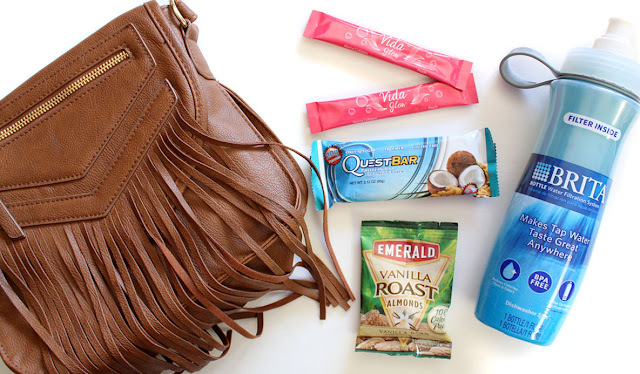 Protein Bars and individual packs of almonds are my favorite snack to take a long when traveling. Both are portable and high in protein to get keep your energy up. Staying hydrated at an outdoor festival is crucial. Take a re-fillable water bottle so that you can fill it up at the water stations throughout the festival grounds. Pack a few individual drink mixes for flavor, I like ones with collagen for further hydration. 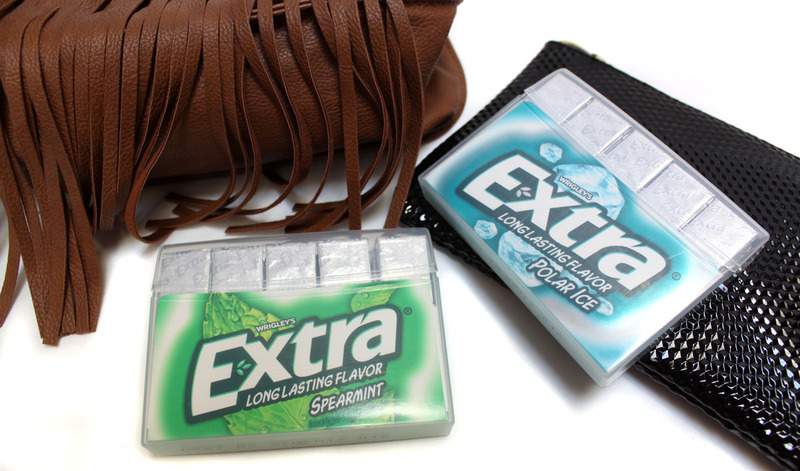 Having gum on hand is sure to make you the favorite friend while traveling. One way to never run out is with the new Extra® Gum 35-stick package. The durable, recycled packaging withstands tossing in to your suitcase or being packed in with your other essentials. 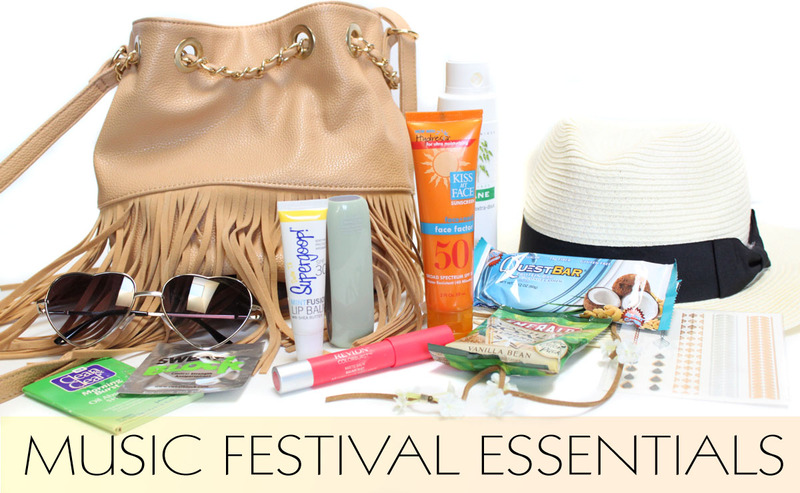 The convenient size is perfect for keeping in your travel bag and for swapping out to your purse for the festival. 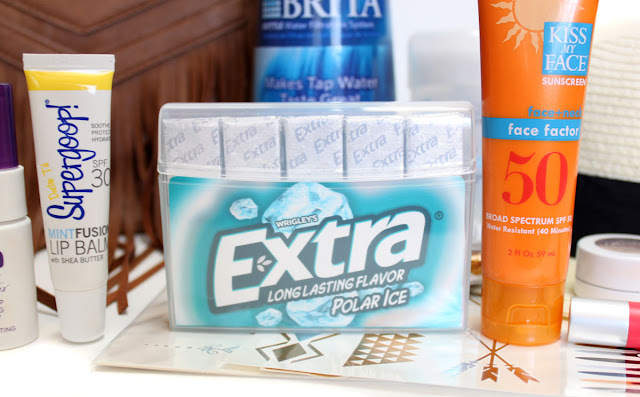 Extra® Gum Spearmint and Extra® Gum Polar Ice® 35-stick packages are a great way to "Give Extra, Get Extra". I love how the new, durable 35-stick packs allow for more sharing between family and friends and you even have enough left over for yourself! You can pick up the new 35-stick packages of Extra® Gum at your local Kroger family store. It's easy to find right at the checkout line! Festivals often run two to three days and that can mean camping with out access to showers. I came across these awesome towel wipes that act as a sweat block. Just apply them at night and they keep you dry for up to 7 days. Dry Shampoo nixes oily roots and adds to texture to boho waves. Toss in a flower crown and hair ties for quick and easy hairstyle changes. 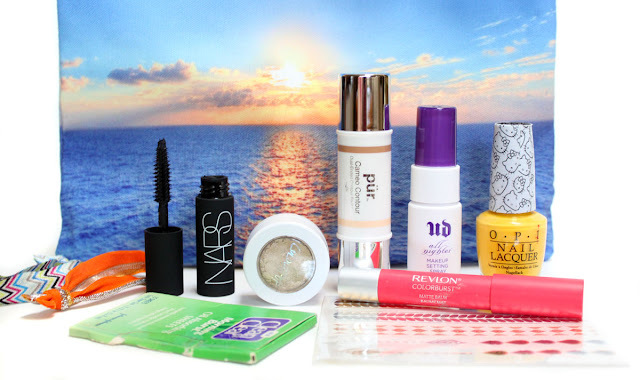 Go light on makeup. A swipe of metallic cream eyeshadow and a bright lip color on the lips is my favorite way to look put together. Skip the powders for oil-blotting sheets and paint your nails a vibrant fun color before you leave. Flash Tattoo's have been going strong for a couple years now. They make a statement without the risk of losing your precious jewelry. Travel-size, stick, or one pot packaged products are also a great way to save space and don't require brushes. Before turning in for the night I remove my makeup with a towelette and apply a serum soaked individual sheet mask. Sheet Masks provide much needed soothing hydration and will take the place of a night time skincare routine. 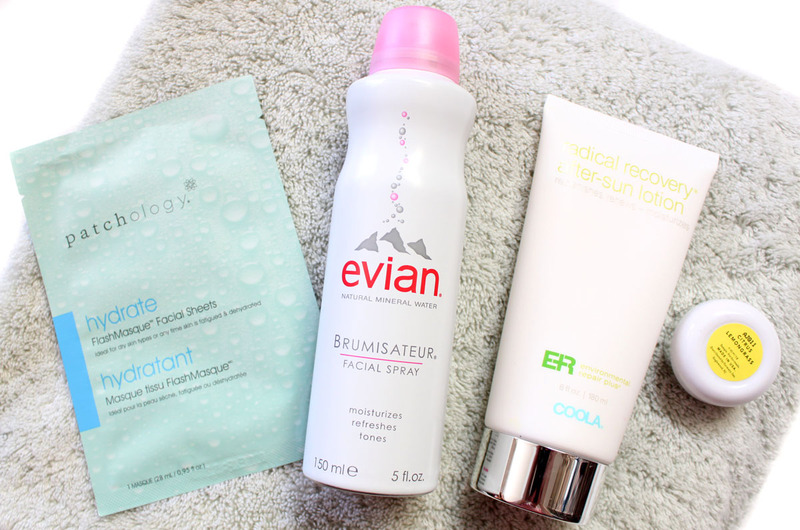 Flights and dry hot weather can be extremely dehydrating so its important to replenish the skin as much as possible. A bottle of water mist to spray on your face and an aloe-infused body gel will refresh your skin after a day out in the sun. Dip in to a thick, hydrating lip balm before bed and you will be be perfectly prepped for day 2! Will you be attending any Music Festivals this year? If so, what essentials will you be packing in your bag? Which flavor of Extra® Gum 35-stick package will you be picking up?